Mail entries must be postmarked no later than Wednesday 6/1/2016. Please mail entries to 2812 W. Colorado, Suite 200 Colorado Springs, CO 80906.Make check payable to: usa racquetball. Phone entries will be accepted through Friday 6/3/2016 no later than 5:00 PM by calling 7196026966. Late online entries will be accepted up until Thursday 6/9/2016 by 8:00 PM (Central Time) for an additional fee of: $20 . Please check start times online. Start times for first round match(s) will be available after 6:00 PM Thursday 6/16/2016. Call 7196026966 if you don't have internet access. Play starts at 9:00 AM on Wednesday 6/22/2016. Peggine Tellez reserve(s) the right to combine or cancel any division due to insufficient entries. Director may refuse participant's entry for any reason. For age division competition, participants must meet the proper age requirement as of the first day January. Match losers, including both doubles partners, are expected to make themselves available to ref immediately following loss. 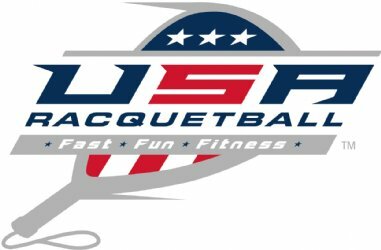 USA Racquetball Official Rules will govern competition, including the mandatory use of lensed eyewear tested to ASTM F803 or CSA impact standards. ASTM list online at: www.usaracquetball.com > Sitemap/index > "eyeguards" to confirm. Players must meet the proper age requirement as of January 1, 2016. Only U.S. citizens are eligible to participate. USAR membership is required. Entrants must present a current membership card, or receipt, for proof. All players should be prepared to begin play on Wednesday, June 22th at noon. Players should expect to play each day. 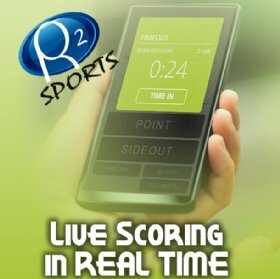 Matches should be completed by 4pm on June 26th. Please plan your travel accordingly. All participants and chaperones will be asked to sign an official Code of Conduct upon registering for the tournament. Save on United fares to National Junior Olympics by calling the United Olympic Desk at (800) 841-0460 with discount code UO31. service available from the Host Hotel to the Racquetball Club during the Junior Championships. Begin Wed afternoon and go through Sun mid-day. Schedule of pick up and drop off TBD , several times daily. Go to www.teamusa.org/usa-racquetball/rankings/skill-division-ranking-range Download the Seeding criteria for National Events. Seeds will be made available June 11th by 3pm CT. Written seeding protest must be made by June 13th 3pm CT, sent via email to the Tournament Director- Peggine@usra.org. For more information, see printed entry form.